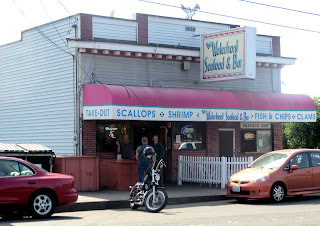 Bellingham's venerable Waterfront Tavern has a reputation for fish and chips, being the last remaining Old Town building on pilings, and as the watering hole of choice for serial killers. 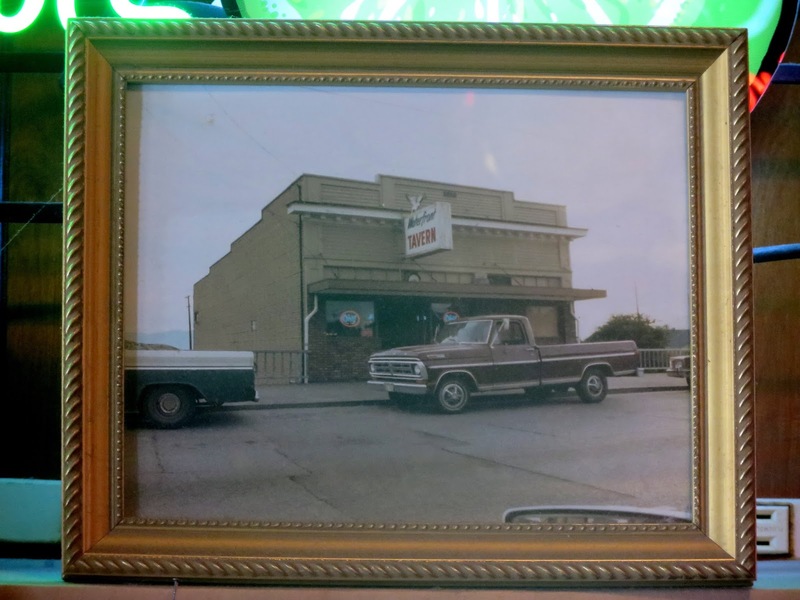 Ted Bundy, the Hillside Strangler, and the Beltway Sniper are all said to have downed some cold ones here before being arrested -- and that's not even to count James A. Kinney, a relative slacker in the murder business, whose single victim was found just off the Mount Baker Highway. It's almost surprising that the regulars are not said to include Green River Killer Gary Ridgeway, given that he once worked in Bellingham, and included a Bellingham native among his 90 known victims. As he seemingly always is, Bundy was described by patrons as charming when he was said to visit the bar in the mid 70s, that is, right around the time he began a killing spreed that included an admitted 30 victims, and suspicion of perhaps 100 or more. There is little evidence to tie Bundy to the area, but Bundy's victims were spread around Washington state and among several western states before his escape to Florida, including women he met at Dante's in Seattle and The Flame in Burien. On the other hand, while it is not clear that he actually frequented the Waterfront, Bianchi made sure no one would forget his presence in Bellingham when he raped and murdered a Western Washington University student he met while working as a security guard at the Lakeway Drive Fred Meyer, along with her roomate. After his arrest by Bellingham police, Bianchi eventually confessed to commiting, with his cousin Angelo Buono, 10 murders in Los Angeles that dubbed him the Hillside Strangler. While the connections of Bundy and Bianchi to the Waterfront may be simply some tall tales of a few of the patrons (klipsun), the Waterfront patronage of James Kinney and John Allen Muhammad is much more firmly established. Kinney was known by regulars to suffer from mental illness before he murdered a visiting 20-year-old young woman and was eventually caught with the aid of the television program "America's Most Wanted." Along with co-conspirator Lee Boyd Malvo, John Muhammad lived in the Lighthouse Mission, a 4-minute walk up W. Holly Street from the tavern. He was described to the New York Times and other sources as being polite but often belligerent, making no effort to warm to other regulars or hide his positive views of the 9/11 attacks, in between sipping Budweisers and watching "The Price is Right" and ESPN. In 2002, Muhammad and Malvo would leave Bellingham to murder 17 people and injure 10 more in sniper-style shootings in Washington D.C. and across the east coast, motivated by a desire to throw off suspicion for killing his ex-wife, and/or some kind of jihad, claiming inspirations from Osama bin Laden to characters from "The Matrix." 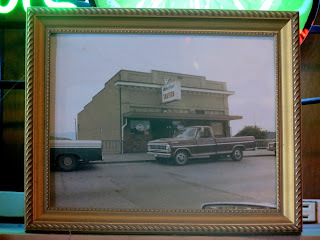 With that hoary history associated with it -- including being named the roughest bar in America by Esquire Magazine 2003 -- it may be almost anti-climatic to amble in to the quaint fish and chips shack extending over Bellingham Bay. Sure it can maintain a certain edginess while hosting punk bands on weekend nights, but most of the time it is a comfortable joint for locals, eating seafood, burgers or fried chicken and sipping Bud Lights or Fireball shots before the nightly Texas Holdem games. 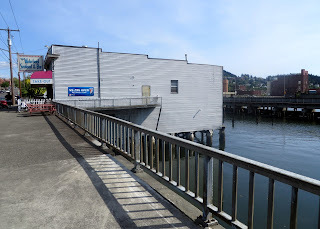 It is, as mentioned, the lone survivor of the buildings on pilings here in "Old Town," established as "Whatcom" before the four area towns were merged. "It was this sort of maritime community that we really don’t just conceive of anymore, there’s almost no vestige of it, besides the tavern," Whatcom Museum curator Richard Vanderway told the Bellingham Herald. "Before Roeder Avenue was built, boats would dock at the lower level, and patrons would enter through a trap door. 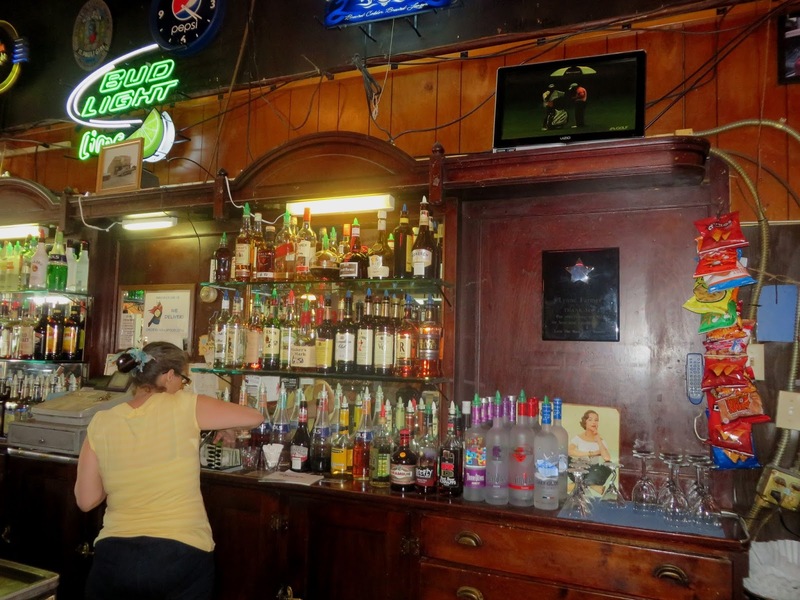 Once upstairs, they could get a drink at the bar or a quick trim at the barbershop (now the kitchen)," notes Teresa Schmidt. The bar has some high spirits and friendly locals with, as we have documented, some stories to tell. The food, the beer, and the cocktails at the Waterfront are fairly pedestrian neighborhood bar fare, but if the waterfront setting, the established history, and even the dubious legends are not enough to entice you in, we must have very disparate tastes in bars.